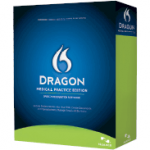 Patient Chart Manager EHR works hand in hand with Dragon Medical Practice Edition® voice recognition software. 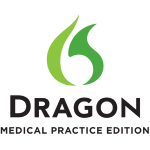 Using Dragon Medical Practice Edition®, dictation anywhere into a note is fast, easy, accurate and allows immediate completion of the note. Dragon Medical Practice Edition® voice commands can also assist in navigation within Patient Chart Manager, providing a virtually hands free method of generating chart notes using Patient Chart Manager. Macros within both Patient Chart Manager and Dragon add speed and convenience and avoid dictating repetitious verbiage. Preferred pricing for Dragon Medical Practice Edition® and training are available through Prime Clinical’s partnership with 1stVoice, a Dragon Certified Partner with over 15 years experience. You can call 1stVoice directly at 650-747-0275.